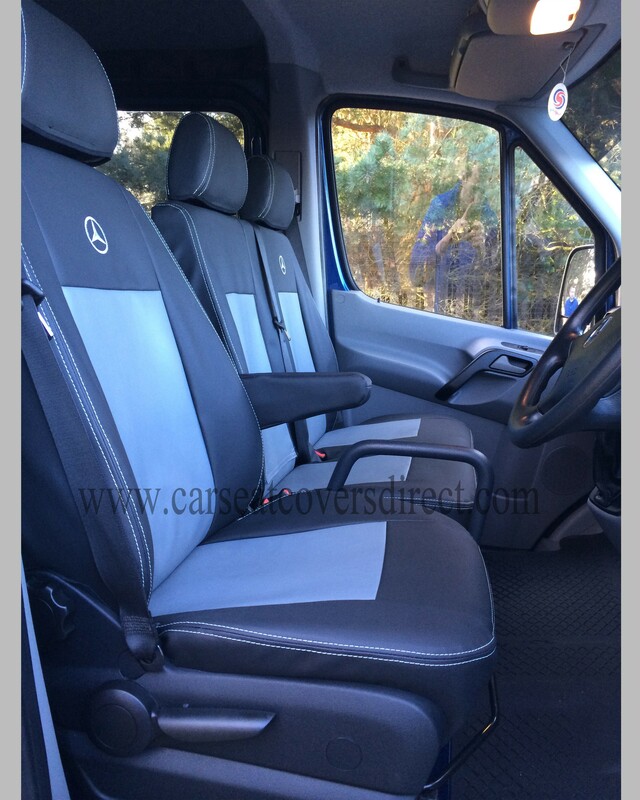 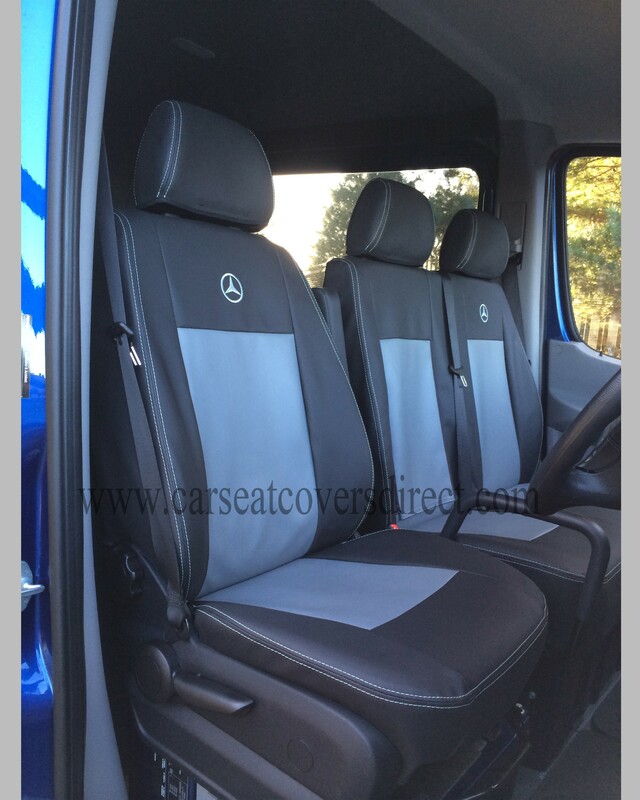 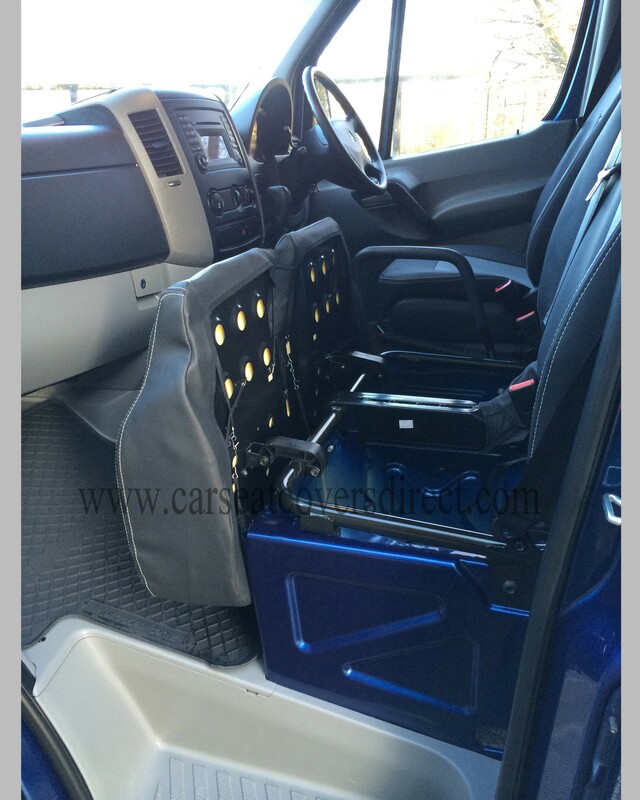 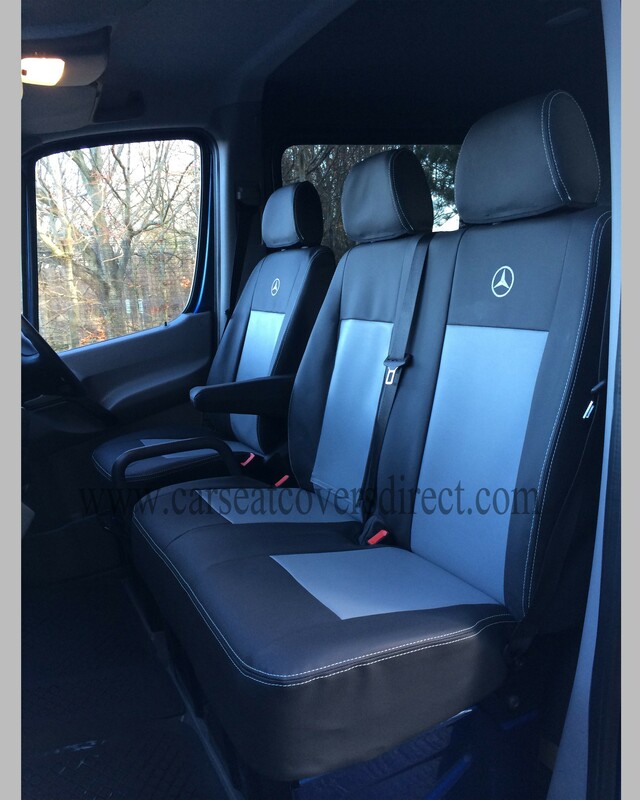 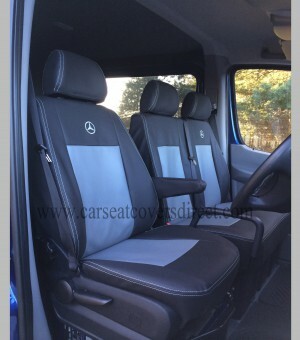 MERCEDES SPRINTER 2nd gen (2006-present) fully tailored van seat covers. 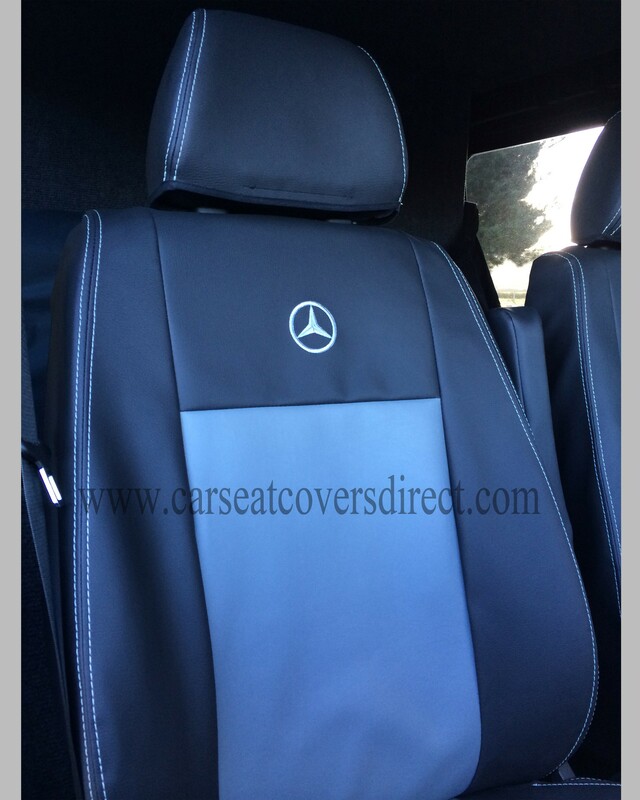 The price for this listing includes two tone leatherette, silver leather double top stitching and two logos. 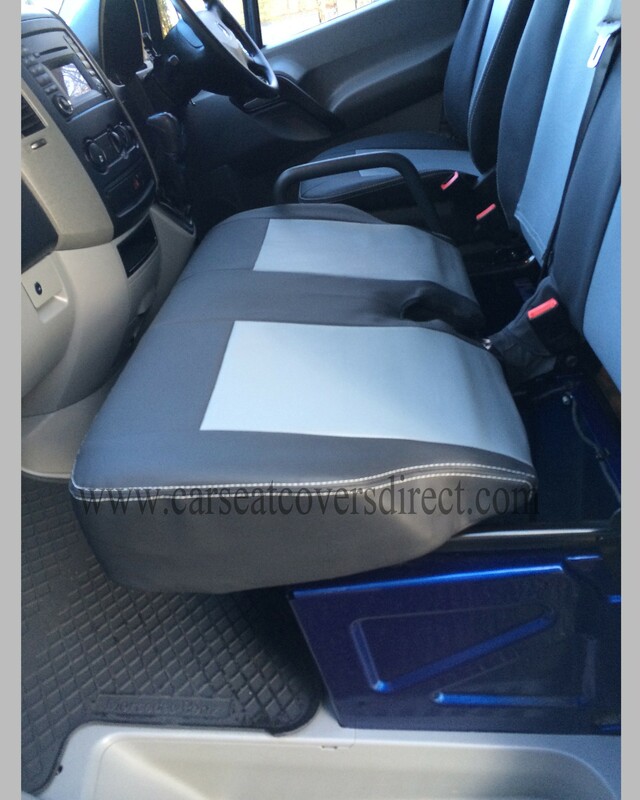 Please note, two tone is not an additional expense option. 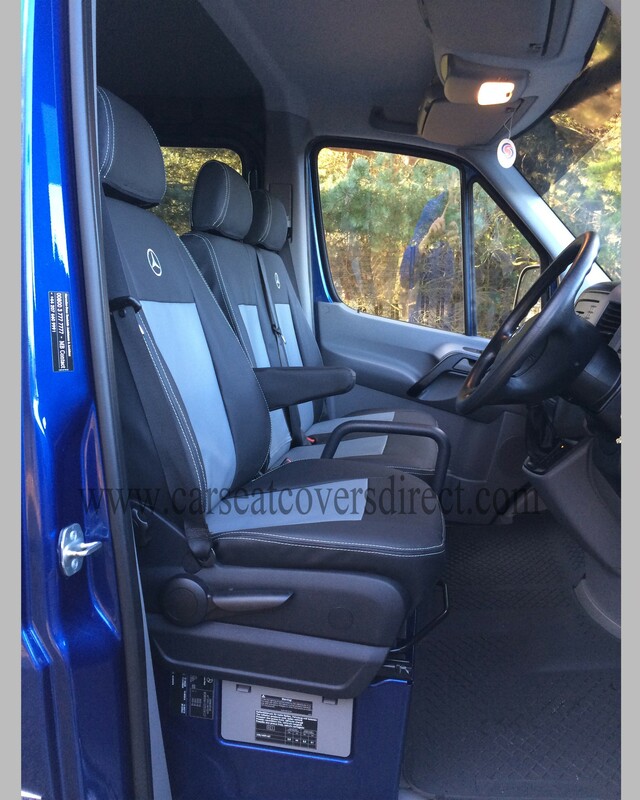 The seat covers can be all the one colour. 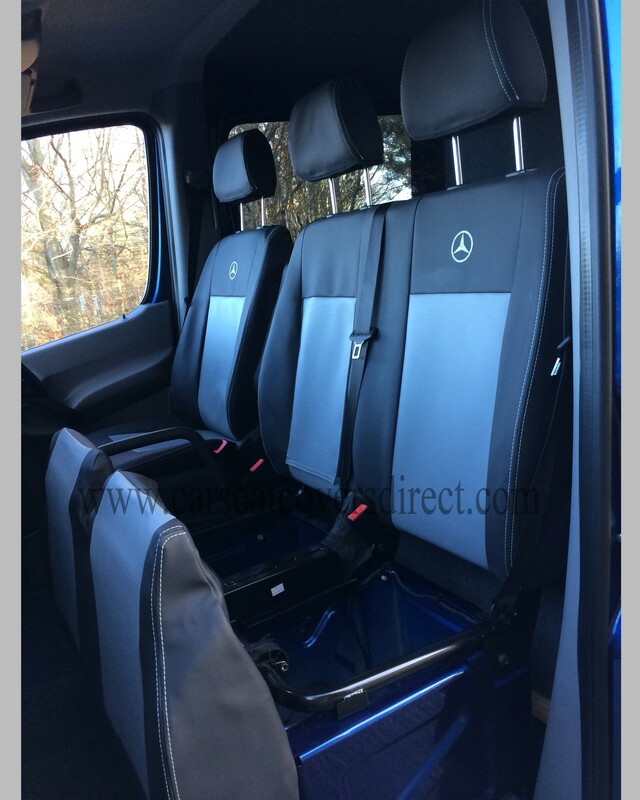 Please specify when ordering or use the design your own tab.